MONTGOMERY, AL (WSFA) - We’re actively monitoring the potential for strong to severe weather late Saturday night into Sunday. Let’s dive in. First things first, the first half of the weekend is looking good. A few rogue showers are possible tonight and tomorrow, but many will stay partly cloudy, dry, and warm with highs in the 80s. Before you go to bed Saturday night, however, you need to have a severe weather plan in place. Saturday night, strong storms will start to approach from the west. Storms will cross the Mississippi - Alabama border and roll into our area some point after midnight. Storms will continue to push through Alabama during the first half of the day Sunday and exit the state by late afternoon. With plenty of lift and wind shear, the only questionable ingredient is instability. That’s the tendency of air to continue rising once lifted; if we have enough of it, this setup could produce multiple tornadoes across Alabama. If we have less instability, the risk of severe weather goes down substantially. The latest model guidance suggests enough instability to cause some problems, so you need to be ready. Bottom line - from just after midnight Saturday night, through 1pm Sunday, these storms have the potential to be severe. 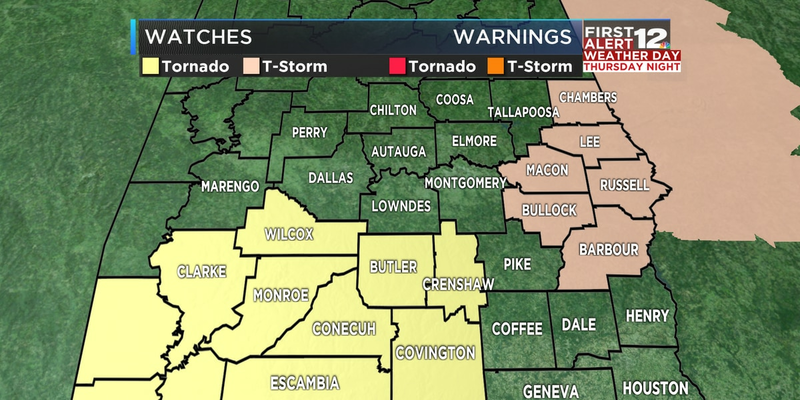 Damaging wind gusts, hail and tornadoes are all a possibility. Make sure to have multiple, reliable ways of receiving weather warnings - and they all need to be capable of waking you up in the middle of the night. Also, make sure you have ways of receiving alerts if you’re out and about Sunday morning, including at church for Palm Sunday services. Think through everywhere you might be from late Saturday night until Sunday afternoon, and decide where your safe space would be at each of these locations if a tornado warning is issued. Check back in throughout the weekend for new information. We’re constantly receiving and reviewing new data, and will continue to update you as we receive fresh info. 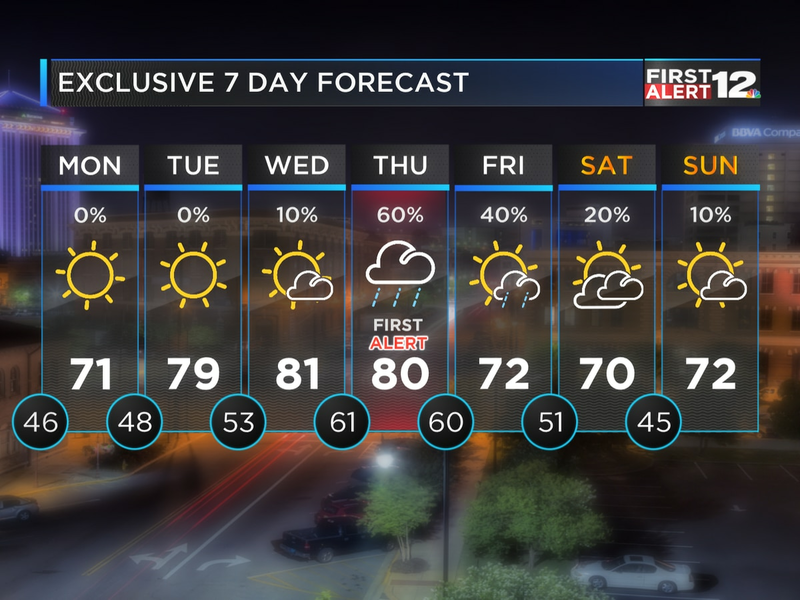 2019 WSFA 12 News. All rights reserved.